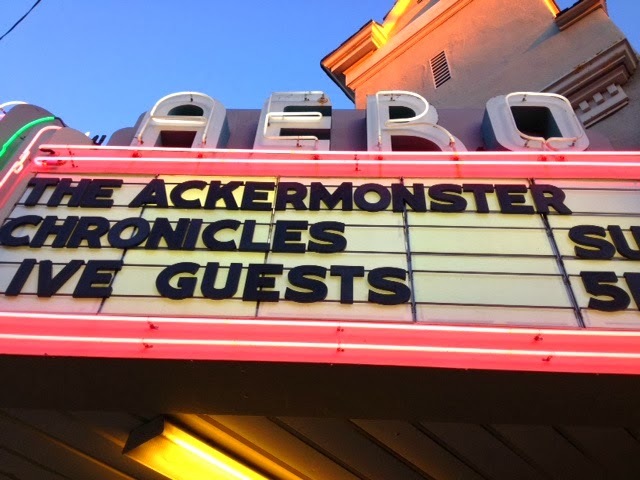 On Sunday, Larry and I went to a screening of "The Ackermonster Chronicles" at the Aero Theater (Cinenmatheque) in Santa Monica. 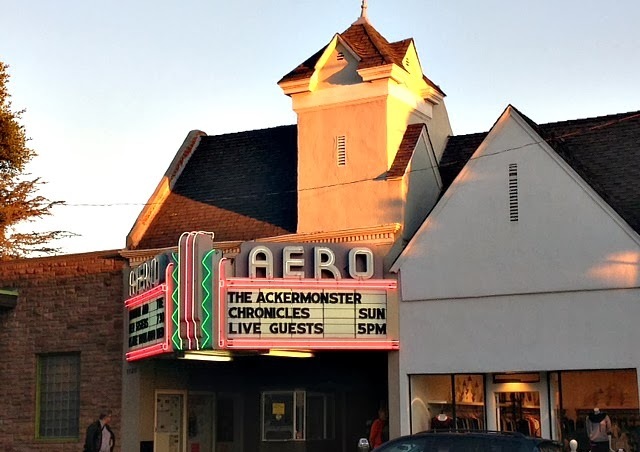 I haven't been to the Aero since I lived in Santa Monica, 1979-1982. It's a lovely little theater, originally built in 1939 by Donald Douglas of Douglas Aircraft as a 24-hour entertainment hub for aircraft personnel who worked shifts around the clock at the nearby plant. Eventually, American Cinematheque took over the theater, updated the mechanics and it's now their West side venue (main location is The Egyptian Theater in Hollywood). The Aero is a sweet little theater with a terrific swirled terrazzo design in the outer foyer! Many participants in this documentary were in the audience for the screening. There was a panel discussion after the film about Forrest J Ackerman, the subject of the docu. Here's a bit of info from Wikipedia: Also called "Forry," "The Ackermonster," "4e" and "4SJ," Ackerman was central to the formation, organization, and spread of science fiction fandom, and a key figure in the wider cultural perception of science fiction as a literary, art and film genre. Famous for his word play, he coined the genre nickname "sci-fi." Larry had visited Forry's last two homes in Los Feliz. I visited his larger Los Feliz home, dubbed The Ackermansion, twice. Every Saturday, Forry would hold court in his living room and tell stories about his years in the business. His house was chock full of memorabilia. He was a non-stop collector of movie props, scripts, photo stills, costumes and more. His science-fiction oriented memorabilia is legendary among sci-fi buffs and other collectors. It was mind-blowing to visit his home and take the tour! It's a field trip I'll never forget. 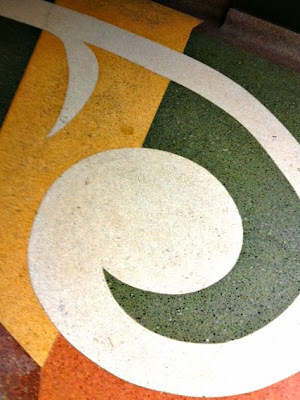 Here's a short video shot at Forry's home. 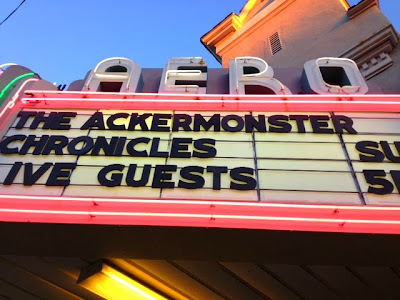 The documentary, "The Ackermonster Chronicles" is a bit campy (so was Forry), but contains tons of information about Forry's life, his friends, his business and his hobbies. The film is quite a tribute to a most interesting man.